Look for more communications as the rollout commences. The Webster University community asked, and Information Technology is delivering. Throughout this academic year the worldwide community will gain access to a powerful menu of new tools that increase individual flexibility, productivity and strengthen the capacity to collaborate among faculty, students and staff alike. Get ready for a comprehensive suite of apps available anywhere a Webster student, faculty or staff member is ready to study, work, collaborate or connect. The benefits will reach every part of the worldwide community. Over the next few months, the Information Technology implementation will create mobile tools fit for a global university, where students, faculty and staff can find themselves in Thailand during one term and Central Europe the next. While for many users this enhancement will require the creation of new and longer passwords, a major benefit – in addition to increased security for personal and institutional data – is that “same sign-on” will allow individuals to use the same password to access many University-managed applications. The adaption to Same Sign-On enables integration for the larger project: Webster has subscribed to Office 365, a suite of cloud-based applications that encompasses everything from email and calendaring to storage and collaboration software. For administrative functions, internal processes will be streamlined, made more consistent and modern. For example, an Adobe electronic forms pilot is underway that will automate some of our current processes that are still paper-based; similarly, application processes like student housing and the CLERY reporting system will be modernized. Other recent or on-going projects in IT’s global strategy include the improved Connections portal and global Adobe agreement, and more robust Wi-Fi access. Users will be able to use these applications at their work stations. They’ll be able to add them to personal devices. They’ll be able to use them in an office in Webster Hall or at home, in the dining area of the University Center, or in Little Rock, Charleston and Leiden. As it happens, the rollout will also strengthen and unify the University security position, while also more clearly defining user access roles. Part of the rollout will entail role-based access control (RBAC), which identifies roles and associated services within the University. And, of course, "O365" will provide students, faculty and staff the kind of flexible, on-the-go, anytime access they’ve come to expect in the mobile digital age. The community will hear more from IT as the rollout begins and individual units and users are contacted for the first phase. By the end of this academic year, the digital experience of faculty, staff and students will have changed for the better. 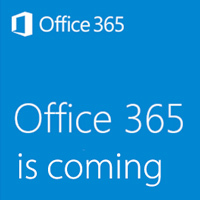 Keep up with announcements and resources for O365 rollout at www.webster.edu/technology/o365.